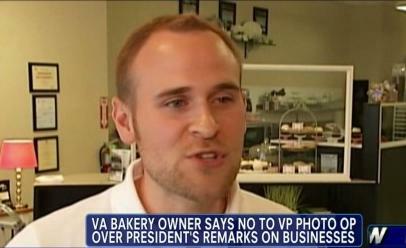 When the Secret Service walked into a small bakery in Radford , Virginia to ask the owner, Chris McMurray, if he would like a chance at priceless publicity by letting his tiny store, “Crumb and Get It”, be used as a photo op for Vice President Biden, heaven knows, Chris needed all the help he could get. He and his wife had just started the small bakery only three months ago and were struggling desperately to make a go of it with a workload that often required the wife to work 24 hours straight. To the agents’ astonishment, however, Chris respectfully but firmly said no. As a devout Christian (who ends each sale with “God bless”), his religious beliefs were at odds with a President who’s flatly refused to step foot inside a church (save for photo ops and funerals) since gaining the Oval Office, has just endorsed gay marriage and won’t celebrate Christmas but will celebrate Ramadan, etc. Chris was also at odds with that same President for telling small business owners throughout America – “you didn’t build that”. As Chris explained, he and his wife did build their store and thus weren’t willing to let it be used for the Obama administration’s political purposes. Result? Though the female anchor of the local news channel freaked out on the air by wondering aloud if Chris didn’t realize what trouble he might cause for himself by snubbing the Vice President, the reality had been the total opposite. Chris has been swamped with business. As he told the reporter days later in amazement, the phone has been ringing nonstop with orders from all over the country for Chris and his wife to deliver cookies and cupcakes to homeless shelters, churches and nonprofit groups, etc. And get this, the first orders came from the very Secret Service agents who’d requested the store for the Biden photo op. Not only were the agents not shocked by Chris’ refusal, they were so delighted that they ordered cookies and cupcakes for themselves on the spot. So if you’re having a sweet tooth attack at the moment, why not give Chris and his wife a call and place an order? God bless you Chris… way to go!!! 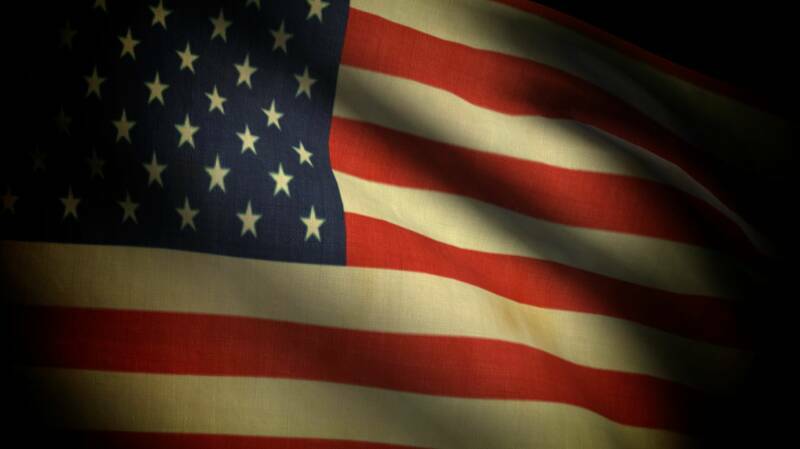 Previous Previous post: The Constitution is the HIGHEST law in the land… also included is an article that outlines and explains the mortgage and banking fraud that has infected our country!